"You need to grow a backbone." "Why are you being so sensitive? It's not that big of a deal." "How do you know that? That's so creepy." I cannot tell you how many times the above statements and questions (among many, many others with similar sentiments) have been tossed in my direction, oftentimes due to ignorance and/or lack of understanding. Before I continue, I guess I should explain the idea of empathy and list out some basic empathic traits. As detailed in the above definition, empathy is the ability to understand and share the feelings of another person (or sometimes animals, and, in even weirder cases, inanimate objects... more on that in another post) with or without actually having gone through what led to the creation of the emotion. For example, when I come in to work for the day, I don't have to ask how everyone is or what the day has been like. All I have to do is stand in the room for a moment and allow myself to feel. It's a strange thing to say, I know, but that's the best way I can describe it. Suddenly, I am flooded by the emotions of all of my coworkers, and I can tell you exactly what the general prevailing emotion of the day has been and whether or not the rest of the day is going to be good or bad. On particularly potent days, I can hone in on the specific emotions of each coworker, but I tend to guard myself from that as it can be incredibly overwhelming and draining. Oftentimes, empaths appear to be aloof or disconnected with the world around them, but that is oftentimes because the world is bombarding them at any given moment with sensory overload. There is so much going on that it's nearly impossible to function at a normal level because they are trying to process all of the senses they are feeling. let me tell you: being an empath in a big city is NOT easy. A common misconception is that empathetic people absorb the emotions of the people and things that surround them, but in truth, "absorb" isn't so much the best word to use here. Those emotions are not ours. We cannot claim them, but we are aware of them. We feel them almost as if they were our own; we just don't know where they came from. At least, we don't know their origin when we are first experiencing and getting to know our empathic nature. It can be very confusing and off-putting to walk into a room and suddenly feel inexplicably distraught when you were just prancing around happily with the Indiana Jones theme song playing in your head moments earlier. At first, you wonder if you're bipolar. What is wrong with me? But you can't place what caused the sudden change in mood. That is, until you meet the person that is actually feeling the emotion you're sensing. They have it worse off than you, but you're capable of getting on their level and relating with them when others perhaps could not. It's a tool, yes, and a valuable one, but it's not always a great thing. Something that I have to keep an eye out for on a daily basis is the Energy Vampire. Now, I know this sounds like something out of the Twilight series, but bear with me... Energy Vampires are not sparkly stalkers but instead are people who cannot see anything in the world except their existence in it. Ideas like empathy are very difficult for them, because if they haven't experienced it then they simply don't understand. It might seem like I'm trashing these people or that I believe myself to be better than them, but that's not it at all. I just know what it's like to be around these people, and I know what I feel like directly after having been around them for an extended period of time. It literally feels like I have just run a marathon at an all-out sprint, and I can barely get the energy to throw myself on my bed to sleep. Some might view me posting this as an attempt to bring attention to how awesome I think I am ("Oh, look at me, I am an empath, which means I am just oh-so-much-more in tune with all of the emotions of the world than everyone else is..."), but that's not it at all. 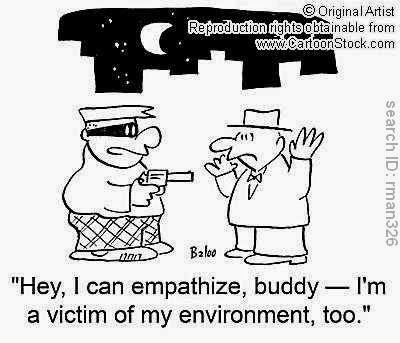 Being an empath is exhausting. There is never a moment's rest, and I am not emotionally capable of putting all of the feels to rest. It's partly why I have remained single for most of my life. Being in a relationship - especially a romantic one - is daunting all by onesies, but it's exceedingly difficult for me to find someone who is ok with me spending a good amount of time being alone. And I'm not talking about "I'll just be quiet at the other side of the bed" alone. I mean that I need absolute and complete isolation from everyone and their feelings. I need time to assess how I'm feeling, because when I'm around other people I never really get to pay attention to that, and my personal emotional needs frequently go neglected as a result. So at the end of the day, it's a lonely existence, but, oddly enough, I appreciate the loneliness. It's a really weird place to be. Fellow empaths, how do you cope? Please let me know I'm not alone here.